The Mohawk Canoe Club located in New Jersey is an organization for paddlers, addressing their needs and promoting the benefits of canoeing and kayaking. Activities include paddling trips, instructional classes, social gatherings, river cleanups, camping, and other outdoor activities. 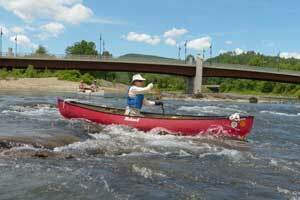 Our trip schedule has over 100 trips per year, ranging from easy flat water to challenging whitewater. To enjoy these benefits go to the membership page and find out how to join the Mohawk Canoe Club.